Some call them rodents; others associate them with little bears. Some think they are the cutest animals ever while others just see them as pests. Opinions on raccoon species vary as widely as the misconceptions about them. 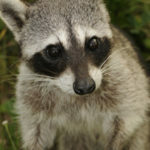 Asking “What species of animal is a raccoon?” will give you a clearer idea of exactly what kind of creature you are dealing with and, as we will reveal in this post, may prove useful in case the animals have damaged your property. We will go over some scientific details about raccoons, but don’t get discouraged by the technical lingo — we’ll try to keep it simple. Elsewhere on the Web you can find plenty of biology jargon, but our aim is to give you a detailed answer that’s easy to understand, even if you aren’t a scientist. So let’s start our journey toward demystifying raccoons. When it comes to classifying raccoons, the most common mistake is to confuse them with rodents. If you have raccoons around your property — or even worse, in your house — you’ve noticed that they have a habit of chewing things, like water pipes, electric cables, insulation or sometimes even wood. This chewing behavior is very similar to that of squirrels, mice, beavers and so on. So, are raccoons rodents? There are two things we have to consider. First, all rodents share a common feature: two large incisors in the upper and lower jaws. Raccoons don’t have this feature, so they are automatically excluded from being rodents. Second, rodents are a family, not a species. So when the question is “What species of animal is a raccoon?” rodent would not be the answer anyway. Let's explain this point better. We often use the term “species” a different way than biologists use it. For instance, as just mentioned, we might refer to rodents as a species. However, rodentia is an order. Species are the various animals that belong to the same order — for example, rats, beavers, squirrels and so on. This is how biologists classify animals. They assign each one to a series of categories in the following order: kingdom, phylum, class, order, family, genus and, at the very end, species. Different animals can share some of these categories. Take for example raccoons and squirrels. They both belong to the kingdom animalia, the phylum chordata and the class mammalia. However, when it comes to order, raccoons and squirrels part ways. Squirrels are in the order rodentia while raccoons belong to the order carnivora. The order carnivora, in turn, comprises a broad range of animals. So to identify what species of animal a raccoon is, we need to move ahead to the next classifiers, which are family and genus. Raccoons belong to the family procyonidae, which also includes coatis, ringtails and olingos, just to name a few. Raccoons are not all the same and can have different characteristics depending on region. So now let’s talk about species, which will give you the final answer to your question. Did you know there are three main species of raccoons? Not all of them are well known, and not all of them live in the vicinity of your house. The first raccoon species is the procyon pygmaeus, better known as the Cozumel raccoon. As the name clearly indicates, this species of raccoon lives on Cozumel Island off the coast of Mexico’s Yucatan Peninsula. This species is highly endangered, and you’ll never find it on your property in the U.S.
2. Another species is procyon cancrivorus. It is widely known as the crab-eating raccoon, which is kind of a misleading name. This species can of course eat crabs, but like other raccoons, it is omnivorous and will eat a broad range of food. The crab-eating raccoon looks very similar to the raccoons that live in the U.S., even though the pattern of the fur is slightly different. A more obvious difference is the appearance of size. The crab-eating raccoon does not have thick fur. As a result, it looks smaller and skinnier even though it’s actually very close in size to the raccoons inhabiting the U.S. This species lives in certain regions of Costa Rica and most areas of South America, including the Andes, but not in the U.S.
3. The third species is procyon lotor. The largest of the three, this is the raccoon that you see around your property. This raccoon species lives in the vast majority of the U.S. with the exception of a few states like Utah, Nevada, and Arizona. Introduced populations of this raccoon can even be found in Germany, Russia, and Japan. This kind of raccoon is so widespread that it is usually called the common raccoon. In many parts of the U.S., this raccoon species has become way too common and is the cause of unpleasant incidents inside many a house. The common raccoon is frequently depicted in movies, cartoons and books. This media exposure has contributed to the raccoon’s appeal and popularity. Many people are fascinated by these funny creatures. The black fur around their eyes makes them look like humorous bandits. Their antics and behavior are very entertaining to the point that many people aren’t at all disturbed by raccoons’ presence. Some people, moved by sentiment, feed raccoons in their yard or even adopt one as a pet. Whatever your opinion of or approach to raccoon species, there is a dark side to this animal that many people aren’t aware of. Or if they do find out, it is usually too late. First, raccoons have an amazing ability to adapt to the surrounding environment. Of course, some locations are already perfect raccoon species habitats. However, if a raccoon can find a safe environment free of predators, an abundance of food, and a hole he can use as a den, he can adapt quickly. These three things are widely available in metropolitan areas, so there’s a good chance your neighborhood is a suitable raccoon habitat. Raccoons are also well known for their incredible intelligence and dexterity. Using their human-like hands, raccoons can accomplish unbelievable things. Did you know that a raccoon can open a jar with his hands or even turn a doorknob? When you consider that raccoons do not have opposable thumbs, what they can do with their hands is extraordinary. Just to give you an idea of how intelligent raccoons are and how well they can use their nimble fingers, here’s an experiment that was conducted in 1908. Ethologist H.B. Davis set up 13 complex locks and then observed as raccoons tried to open them. The results were surprising. The raccoons were able to open 11 of the locks in fewer than ten attempts. Once they got the locks open, they had no problem repeating the task even if the locks were rearranged or set upside down. Further studies have revealed that once a raccoon finds the solution to a task, he can remember it for up to three years. These facts tell us a lot about what raccoons are like and what they’re capable of. But as surprising as their talents can be, it sounds like bad news if you have a raccoon living in your area. If you aren’t careful and don’t take preventive measures, raccoons can easily find a way inside your home. Once inside, they can wreak havoc on your property, resulting in severe damage that may require costly repairs. For this reason, among others, it is highly advised that you not feed raccoons. Besides interfering with the natural ecosystem, feeding raccoons will attract the animals to your property, which poses some serious risks. Obviously raccoon species can enter your house and become a major expense. But raccoon droppings are dangerous too, and even if the critters never enter your house, they may contaminate your yard, endangering your family’s health. Children are the most exposed. Raccoon droppings can even be fatal to your pets. These are just a few of the reasons not to get too close to raccoons. They are certainly extraordinary creatures, however, and it is possible to cohabit the same area without letting them become a nuisance. Our suggestion is to do all you can to keep raccoons away from your house, so that you can enjoy their presence in your area. In case you’ve already gotten too close to a raccoon and he is now living in your house, knowing what species of animal a raccoon is can be of great help. Even though raccoon damage is costly to fix, many home insurance policies cover it. You may find a clause in your insurance policy that says you cannot file a claim for damage caused by a rodent. This clause is a source of doubt for many homeowners who are uncertain if they should proceed with a claim for raccoon damage. As we explained above, it is evident that raccoons are not rodents, so they are not excluded by the rodent clause. This is one of the reasons why Get Raccoons Out has been able to help so many clients get money back from their insurance companies. We have expertise in handling insurance companies and we know how to correctly file a claim to give our customers the best chance for success. But don’t wait for raccoon species to cause damage in your house before you take action. Raccoons are funny creatures. You might enjoy their presence and love their innocent faces; however, if you aren’t vigilant, they can become your worst nightmare. Do everything you can to keep them away from your property. If you’re not sure where to start, contact us, and we will be happy to help you protect your house. With enough raccoon species savvy, you will never have any problems with these amazing creatures.